The Marriage Merger Blog Tour! I’ve been knocked out by the fab reviews of my new release, The Marriage Merger, and cannot wait until release day. To gear up for the big party, I’ve scheduled a blog tour where you’ll get to win SIGNED paperback copies of Merger, read excerpts and teasers, and be entertained by a variety of topics. Review & Post: How Do You Like Your Heroine? Can’t wait the extra two weeks for a peek? Help me gain 550 more LIKES on my Facebook Author Page and I’ll release the first two full chapters of Merger ASAP! Finally, I’ll be signing books at two places this month so please stop by, say hello, and pick up a signed copy!! 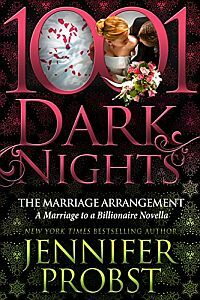 Just reread the entire series (marriage to billionaires) for the third time. One thought keeps returning, “What about Wolfe?” Do you really think the series can possibly be finished without his story? You fleshed in his character so well, it seems a shame not to complete the series. While you’re at it, make sure Dante gas a litter of kittens to disperse within the Conte crew and drive Old Yeller a little crazy. I’m writing Wolfe’s story right now! HIs story continues in Searching for Someday, then Searching for Perfect – both are out now. His story is coming next and I LOVE the idea of kittens thank you for the awesome suggestion!! !